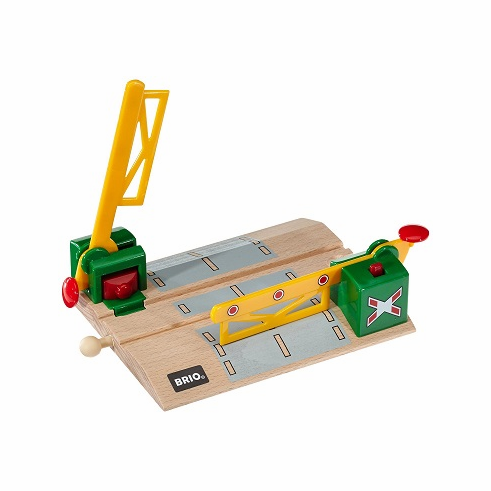 BRIO Railway Magnetic Action Crossing. Road traffic is stopped through the power of magnetism when a train is passing. Push down to lift the bar and let the cars cross.